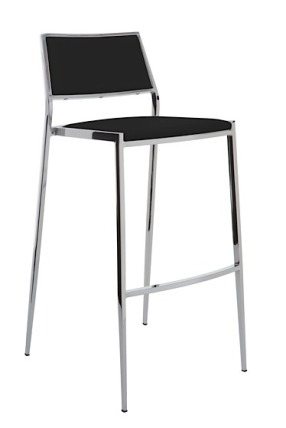 The contemporary look and sleek design of Aaron Counter Stool gives any kitchen or home bar the perfect finishing touch. It features angular and glimmering chromed steel frame which supports a comfortable seat fabricated with CFS foam and durable yet soft naugahyde upholstery. 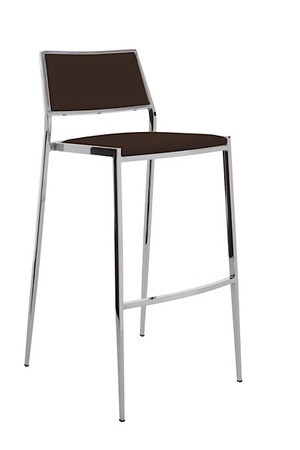 Aaron counter stool can be stacked providing more space. -- Please Choose an Option --	18"W x 20.25"D x 36.25"H: Seat H - 24.75"